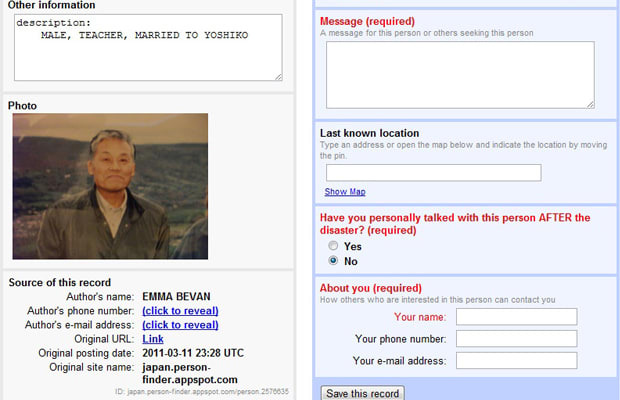 The world&apos;s most popular search engine launched its Person Finder service, a tool that allows users to search and set up profile pages for missing people. According to ABC News, there are nearly 140,000 records on the site. Google has also created a crisis response page that offers emergency contact information, news updates, and charity links for the Red Cross, Save the Children, and UNICEF.